Mr. K Shanmugam, Minister for Home Affairs and Minister for Law, spoke about how the Home Team is leveraging S&T to keep Singapore safe and deal with threats effectively. Speaking at the opening of the Home Team Science & Technology (S&T) Exhibition & Conference for Homeland Security (SciTECHS), Mr. K Shanmugam, Minister for Home Affairs and Minister for Law, spoke about how the Home Team (HT) is leveraging S&T to keep Singapore safe and deal with threats effectively. S&T can help create a more effective and efficient HT, providing better detection and situational awareness, improved analytical ability and stronger operational capabilities. ABBSS and the Laboratory Network mentioned below were winners of the HT S&T Excellence Awards. This is a network of labs across Singapore’s checkpoints which play a critical role in dealing with drugs and terrorism. These labs provide the capability to quickly and accurately detect an entire spectrum of Chemical, Biological, Radiological, Nuclear and Explosive (CBRNE) threats, and conduct speedy accurate investigations based on advanced forensic methods. The labs also allow the detection and analysis of a wide range of narcotics, including New Psychotropic Substances (NPS). Minister Shanmugam highlighted 10 years of close international partnership with US DHS S&T. One example of the outcomes is the Sentinel Puffer Portal, a walk-through screening system. It releases gentle puffs of air, dislodges particles on clothing and human bodies and detects trace amounts of explosives and narcotics. It reduces manpower requirement, is less intrusive to travellers than physical pat-downs and effective in detecting even very small quantities of the materials. 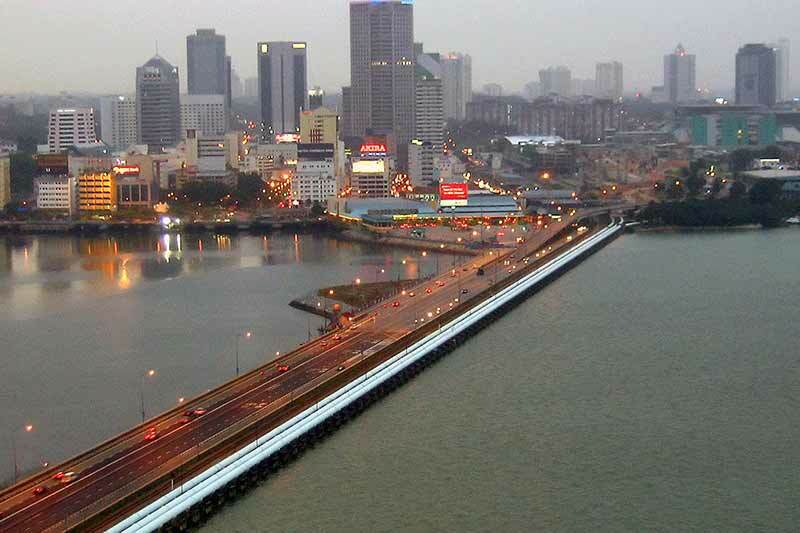 It is deployed effectively at all land and sea checkpoints in Singapore. Last year, the HT collaborated with DHS on the Radiological Multisensor Analysis Platform system. It is essentially a prototype vehicle with advanced radiological sensors integrated with 3D-mapping technology. As the vehicle moves, it allows radioactive threats in the environment to be detected and shown on a “real-time street view”. The vehicle has been testeds at sea and land checkpoints and it was able to screen passenger vehicles and cargo containers, and conduct searches for threats in urban areas. Minister Shanmugam said that it could become a valuable tool to counter nuclear smuggling and terrorism. The seven Departments and two Statutory Boards under the Ministry of Home Affairs are collectively called the Home Team.